Progressive profiling is the process of asking your contacts a series of questions over a number of Conversion Forms or Landing Pages from a master list so as not to duplicate your questions. This allows you to collect information more efficiently and without duplication across interactions with your contacts. To use progressive profiling you will need to define a set of Contact Fields that are common to all of your contacts, then tell each Conversion Form how many of these ‘Progressive Fields’ you would like it to contain. First we will need to define the Contact Fields we wish to use. Click on the settings option in the top right of the Contacts page to create a list of the questions you’d like to ask. This will allow you to drop your questions into Jumplead conversion forms and use them to progressively profile your Contacts over time. 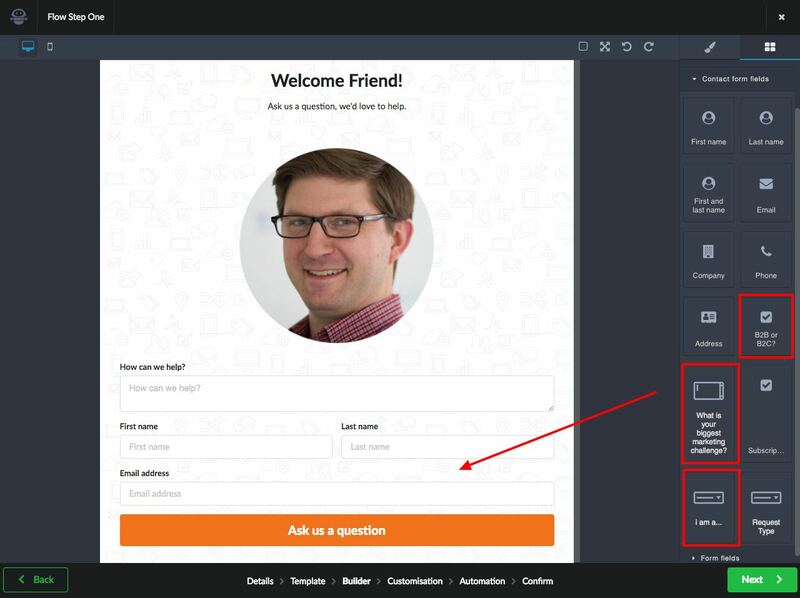 Contact fields allow you to ask questions to help qualify your Contacts and create segments for email broadcasts. To add a contact field click the ‘Create custom contact field’ button, then name your contact field. 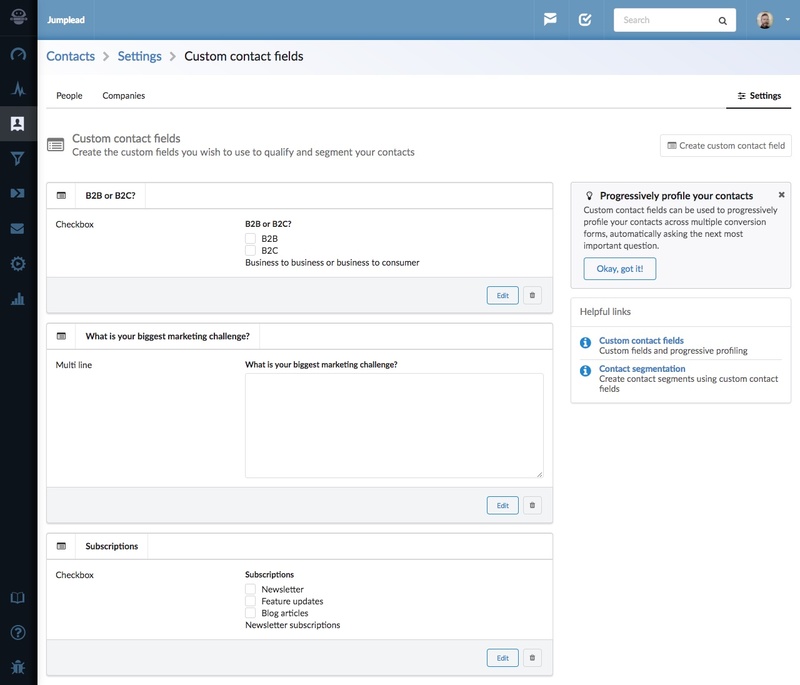 You can choose from a range of form elements when creating your contact fields and choose whether to apply the form to a person or their company. “Does your company provide marketing services?” is a good contender for a position question, whereas “What is your role?” is a person question. Choosing to ‘Star’ the contact field will add it to the highlighted info at the top of the Contact profile page. 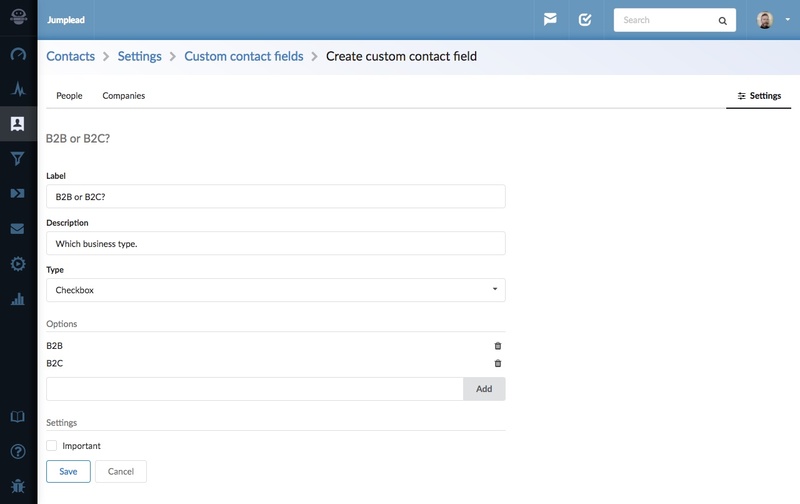 The Contact fields will now be available within the Conversion Form builder for you to use across all of your forms. When creating a conversion form step or landing page that will use your progressive fields, choose how many fields you want to be visible in your form on the step setup page. 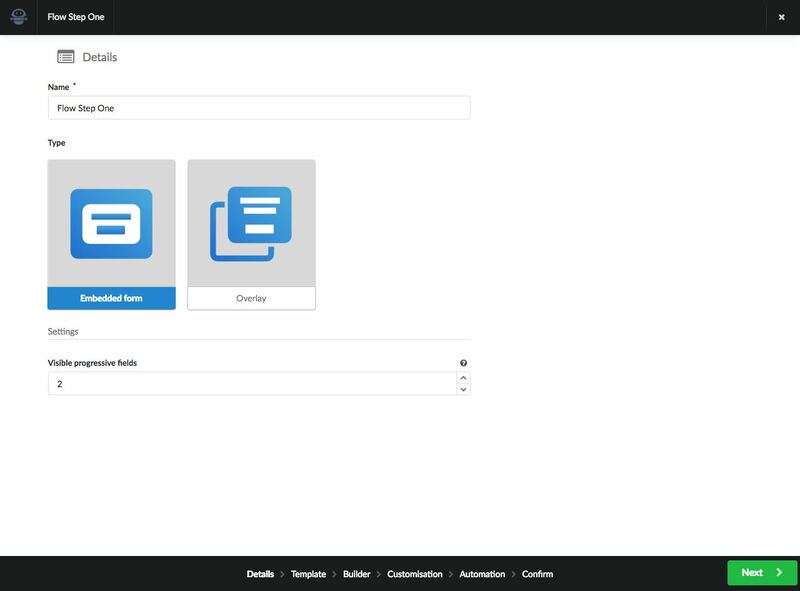 Then within the page builder, from the 'Contact form fields' section drag in the fields you want to use in your form. You can add as many as you like that are relevant to your form. Jumplead will only display the amount of unanswered questions you specified on the Details tab. Any questions that have already been answered will be skipped and only the amount your specified will be shown.